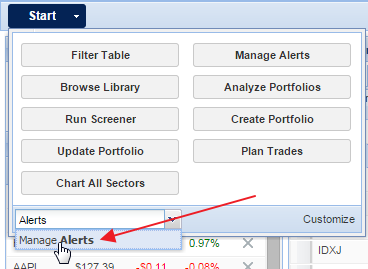 The Alerts facility allows you to get an email or text alert when a stock passes a price, price-related, volume, or P/E threshold. 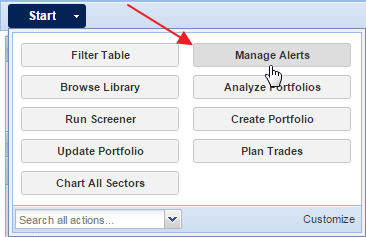 To access the alerts facility, click the Manage Alerts button in the Start menu. Or, if you don’t have the Manage Alerts button saved, you can search for it in the bottom left.